Add proper resolution images in main category screen. Update logic to display data. 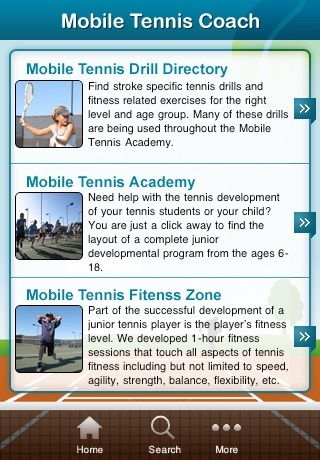 This app is designed for tennis coaches and tennis parents! 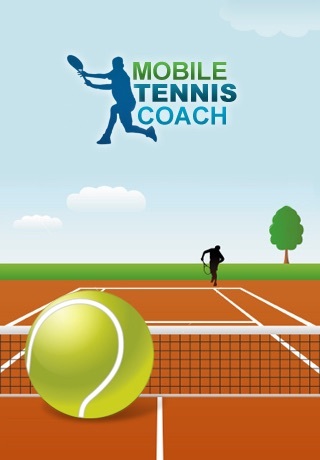 Many years of coaching experience in the field of junior tennis development has allowed us to release this sophisticated junior tennis developmental program in a form of an Iphone application. Hundreds of tennis drills and exercises are used as building blocks for a complete high performance tennis program for the ages 6-18. •	Search options to find drills for specific strokes, age range and difficulty level. •	Complete junior tennis developmental program from the ages 6-18. •	Access to a tennis specific fitness program. Since this application gets its information from a database, an internet connection is required for the use of this app! We are currently releasing this app for FREE. We are in the beginning stages of adding more than 600 tennis drills and exercises into the database that are used throughout the program. The drills range from stroke developmental exercises, drills that teach all forms of tennis strategies to ladder drills for tennis fitness development. Over time many drills will be illustrated with images or videos. If you are new to the tennis coaching industry or have not yet had the coaching success you were wishing for this app is perfect for you. Many players who have participated in precisely this developmental program from an early age have established a high national ranking, just recently even a #1 ranking in the United States.